Like many people, you may prefer not to take medication to relieve minor-to-moderate pain. If you want a natural treatment, we recommend you consider massage therapy. Massage has been traced back to ancient and medieval civilizations and is known to be effective for treating a variety of health problems. Call Owsley Chiropractic to schedule an appointment for a massage today. 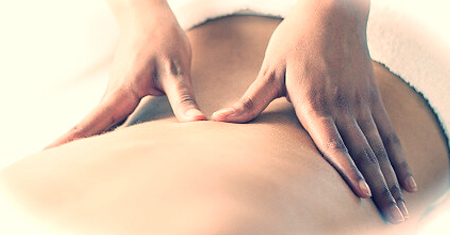 Before your massage begins, your licensed massage therapist will address your questions or health concerns. Additionally, your therapist will assess your health and wellness goals to determine the proper course of treatment. The face cradle, music, and temperature are all adjustable to meet your comfort needs. Be sure to let your therapist know if you would like them modified. Your massage therapist will periodically check with you during your massage to make sure that you are relaxed and comfortable. It is essential to your care and overall experience that you let your therapist know if the pressure being used is too little or too much. Doughnut Friday is nice, but there are healthier ways to show your staff members how much you appreciate them. Employee massages will help relieve the stress your team may experience on a daily basis. If you are interested in scheduling massage therapy for your workers, call us now. When you are choosing something special to do for your employees, massage therapy is a perfect choice. It is a great way to say "thank you." Massage therapy has also been shown to improve employee morale in ways that will be noticeable throughout the office as well as in public. Our program is designed to be a destination program, meaning we will travel to your business, school, or corporate event. We offer table massages as well as chair massages so that we can best adapt to the space available and the individual's preference. If you want to offer your employees this benefit, but do not have space available, we can also do massages in our office by appointment. 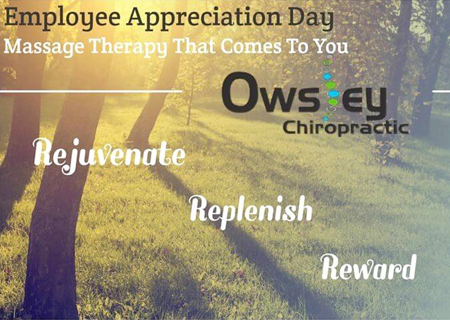 Contact Heather to schedule your Employee Appreciation Day featuring massages!